If you are a parent you most likely will know about the Fingerlings craze. If you don't know the original Fingerlings were released in 2017 and they were so popular around Christmas time they were selling out everywhere. Since then they have released many other designs. WowWee have now gone and done it again and released the UNTAMED Dragons to their rapture Fingerlings range. On top of that they have joined in with the collectables craze and have come out with the UNTAMED Mad Lab Mini's collectables. The UNTAMED Dragons come in four different characters with their own unique name and personality; Wildfire, Shockwave, Freezer and Venom (who we received). They have 2 modes tamed and untamed. Depending on the mode, the same actions get a different response. When untamed your dragon lights up and become ferocious, whilst in tamed mode your dragon is your friendly companion. Poking and shaking your dragon will get it hissing and rouring, alternatively if you are kind to your dragon and pet it gently instead your dragon will hum and coo. The UNTAMED Dragons have blinking eyes, snapping light up jaws, gripping claws and super cool wings. Each dragon has its own way of expressing affection and anger, (Venom breathes toxic gas) and they react to touch, motion and sound and make over 40 different sounds. Upon opening I did wonder if Blake would have much interest in it as he is very easily distracted. However he has been spending a long period of time exploring how to get it to react in different ways and loves roaring with it. As he gets use to it I'm sure he is going to enjoy playing with it more independently. 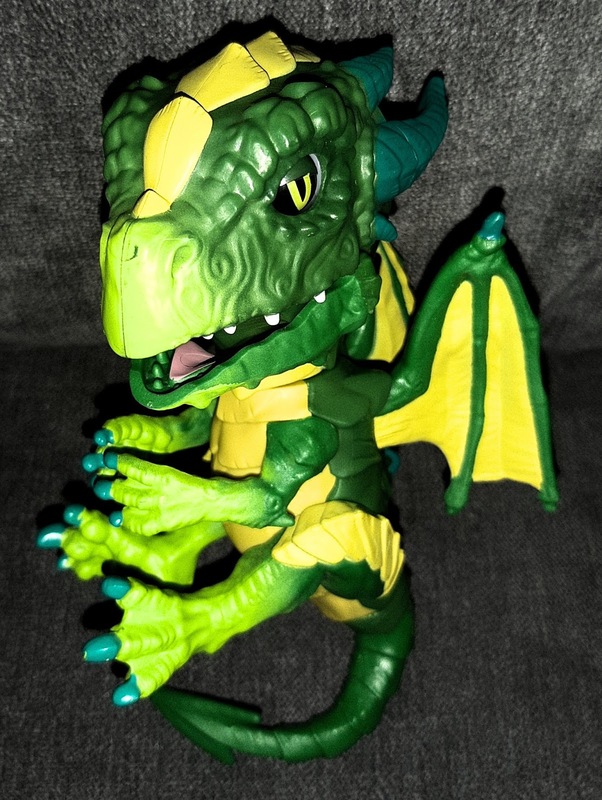 Made from sturdy plastic the UNTAMED Dragons have an on/off switch on the back of the head so there is no worrying about it going off in the night. They fit well on Blake's finger although he's currently not got to grips with the idea of holding it that way yet. Although battery operated it's not at all heavy. The UNTAMED Mad Lab Mini's are a fearsome collectable and like other collectables we've reviewed so far, they offer a surprise element in not knowing which collectable character you will get. With the UNTAMED Mad Lab Mini's you also have the excitement of finding out what fun DNA compound you will be extracting your character from. There are 34 prehistoric characters to collect in the first series, of which 18 are common, nine are rare and three are ultra rare. There are also three limited edition characters, and lastly one rare golden character, Goldrush. When it comes to removing the outer wrapper of the 'test tubes' I reccomend using a pair of scissors as we found it to be tricky to unwrap. Once you have taken off the wrapper you will see what compound you have (BioSand, Geoslime or Terrclay) we recieved one of each. Your collectable character will be covered by the collectors map so you will need to Unwrap, pull of the lid and peel the plastic film away to release your new Mad Lab Mini collectible character! As you can see below we found Ironjaw in some Geoslime, Bonesaw in the Terrclay and finally Gloom in the BioSand. The heads and bodies come apart so once you have a collection of the mad lab mini's you swap them to make your own hybrid creatures. If you want to you can also keep the compounds in the test tubes. At £4.99 it's a bit pricey if you choose not to keep the compounds, however they are pretty fun as well as messy which of course kids love. There’s also an app, and with each collectible you get a QR code which you can scan to collect in-app characters. The UNTAMED Dragons retail at £16.99 and UNTAMED Mad Lab Mini's are £4.99 each and are sold in Symths, Argos and The Entertainer. 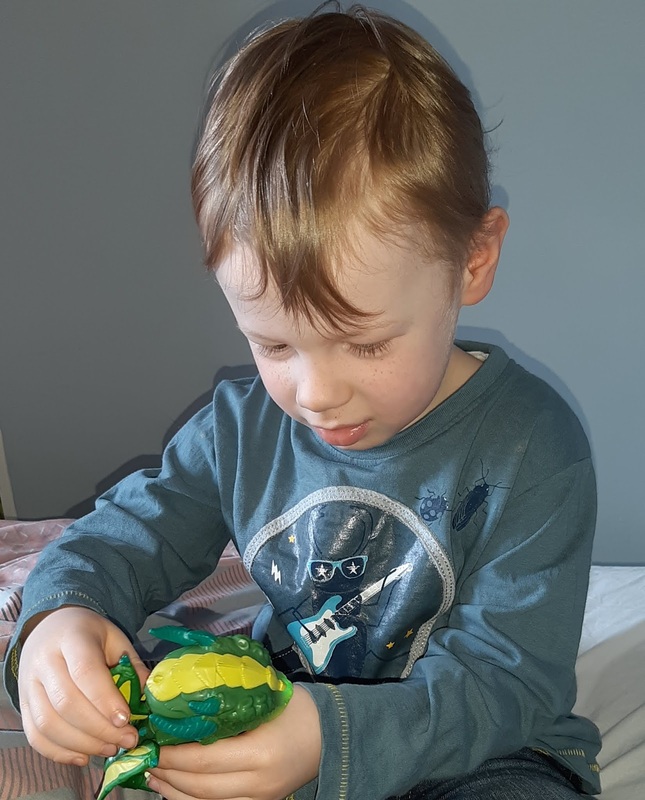 * We was sent an UNTAMED Dragon and UNTAMED Mad Lab Mini's in exchange for this review . All thoughts and opinions are my own. 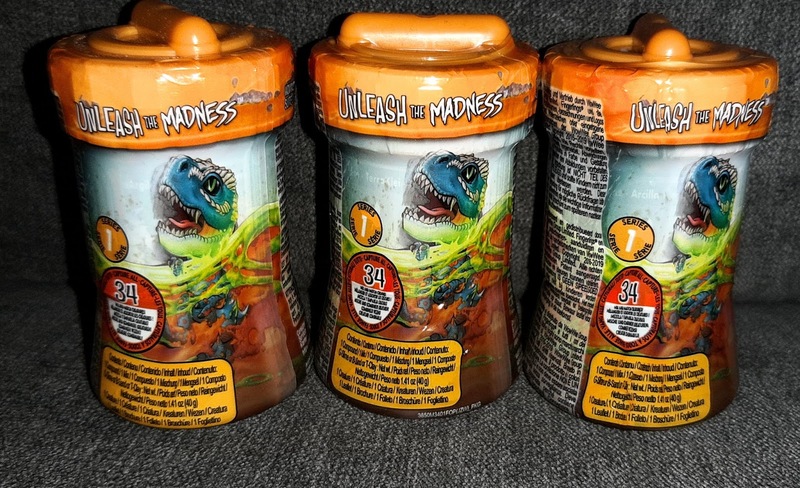 Fancy getting your hands on some UNTAMED Mad Lab Mini's? Well I've got some to give away. To enter complete the rafflecopter below.